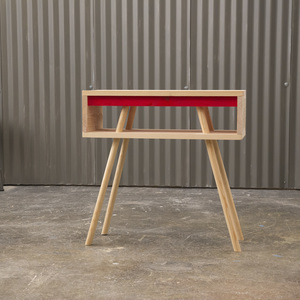 This mid-century modern styled nightstand is made from 3/4-inch pine boards. 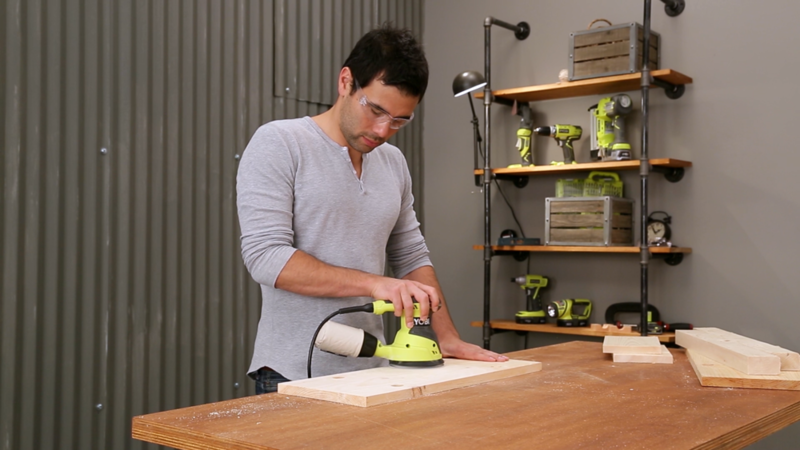 Not only does the pine provide that authentic wood aesthetic, but also it’s also inexpensive and easy to work with. 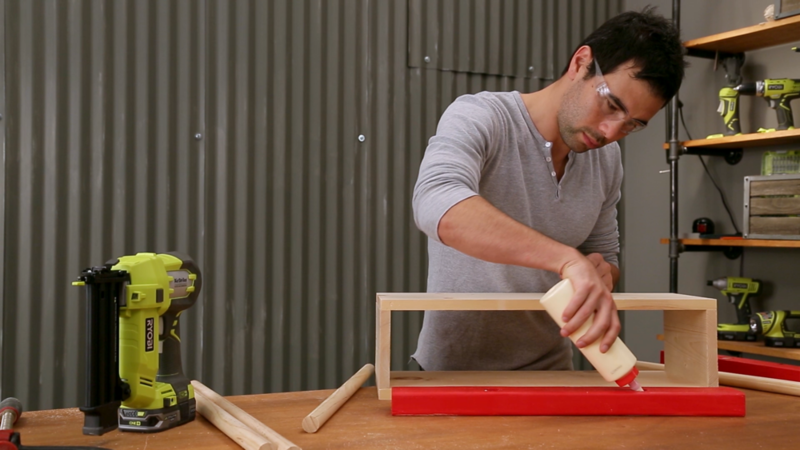 The wood is soft, which makes cutting, screwing, and sanding satisfying and nearly effortless. Cut the wood with the circular saw. 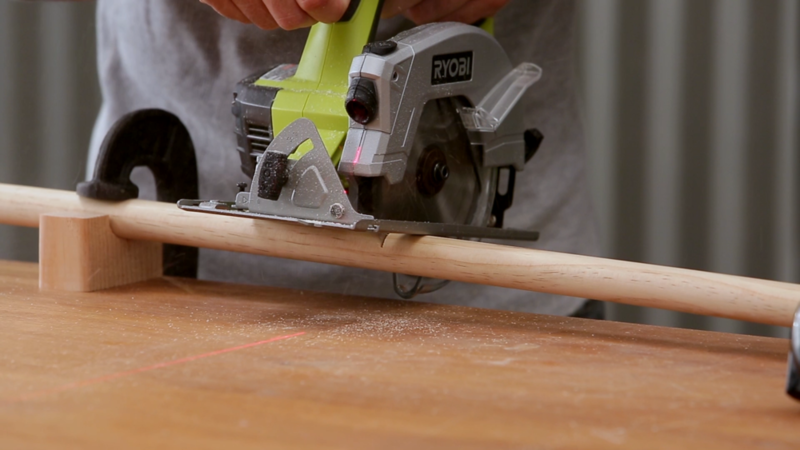 Measure, mark, and cut the pine board using the ruler, pencil, and circular saw. 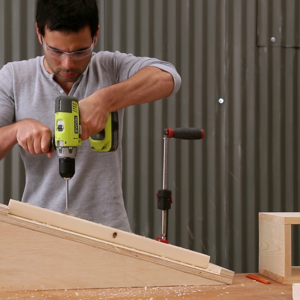 Cut the pine first so you can layout the pine boards before measuring and cutting the 2x3 to fit inside the pine boards. Drill the holes. 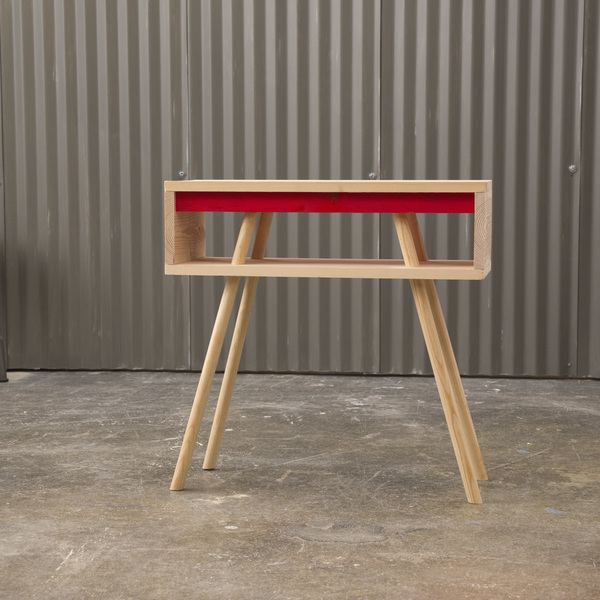 The easiest way to make this nightstand is with straight vertical legs but we thought it would be fun to angle them. 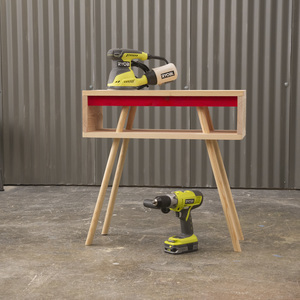 To drill angled holes it is helpful to build a slanted jig that holds the boards at an angle. 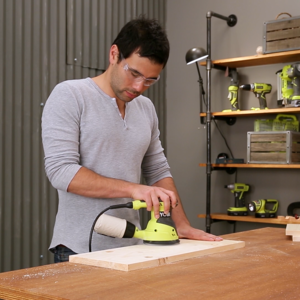 Drill 1” diameter holes through the pine boards. Sand the boards. Sand the pine and the 2×3s using the orbital sander and 220-grit sandpaper. 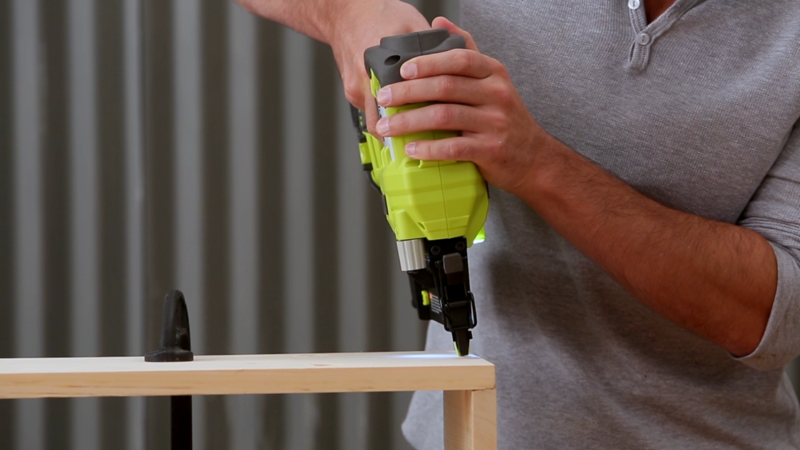 Once you assemble the nightstand, it will be difficult to reach them so do it before you put the nightstand together. Assemble with Finish nails. 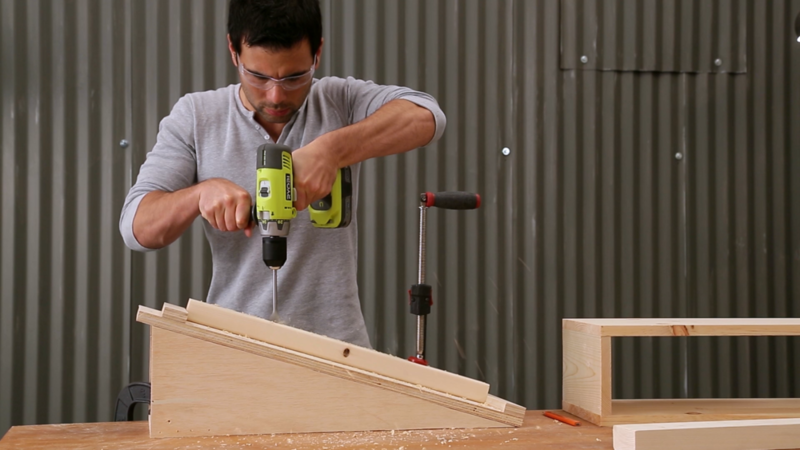 The easiest way to assemble this piece is with the Airstrike nail gun. 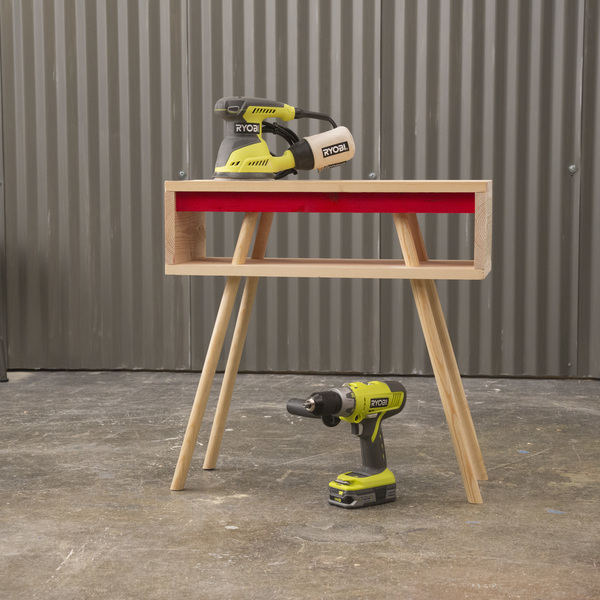 Armed with finish nails it is a clean and sturdy way to quickly fasten wood together. 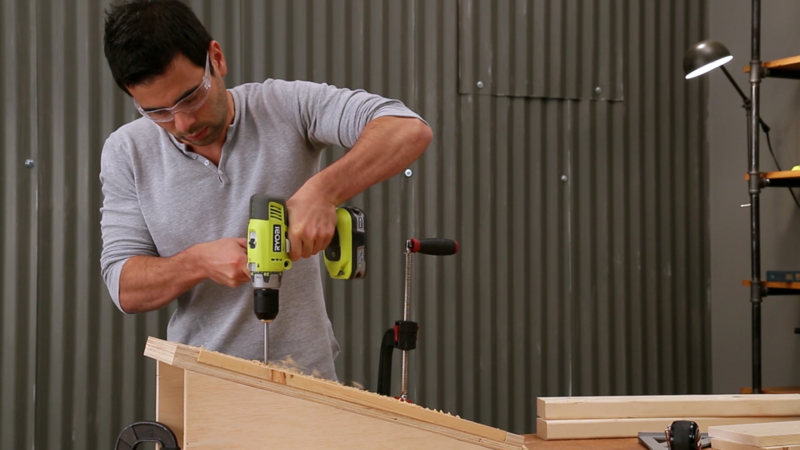 Drill holes in the 2x3s. Now that the pine box part of the nightstand is assembled you can place the 2x3s in side and slide the dowels through the holes in the pine. 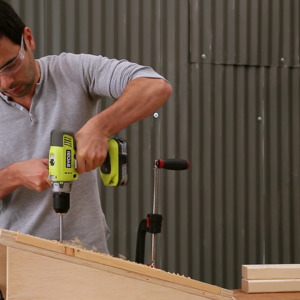 Mark the locations for the holes in 2x3s with a pencil and then drill the holes. 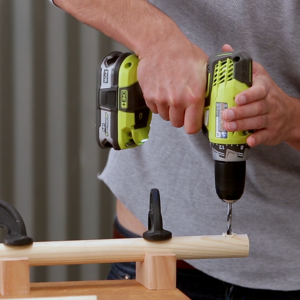 Cut the dowels. 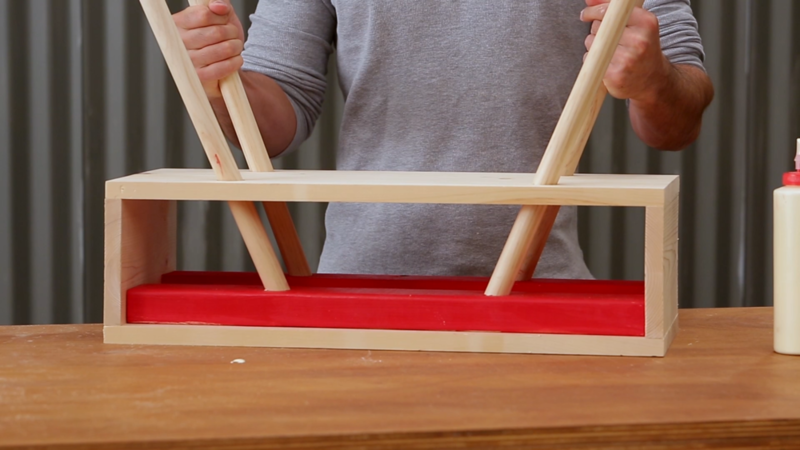 Determine how high you’d like your nightstand to be in relation to your bed and mattress. Then subtract the height of the box from that number to give you the height of the legs. 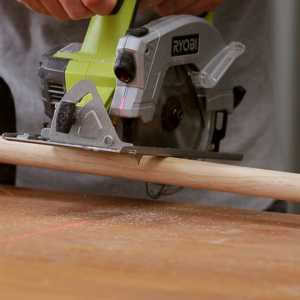 Cut four lengths of dowel equal to that measurement using the circular saw. 1 - Paint the 2×3s. 2 - Glue in the legs. Paint the 2×3s using the paintbrush and interior house paint. 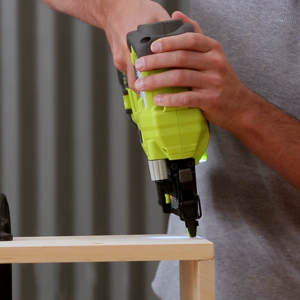 This step is optional of course, but if you want to add some color, paint the pieces now before assembling the nightstand. 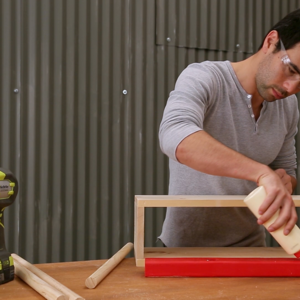 To glue in the legs: Apply wood glue in the holes in the 2x3s and insert the dowels through the pine and into the 2x3s. Once the legs are in place nail through the pine boards and into the 2x3s. Finish. 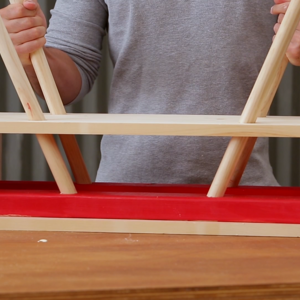 You can finish the non-painted parts with a clear acrylic finish or a coat of Danish oil.